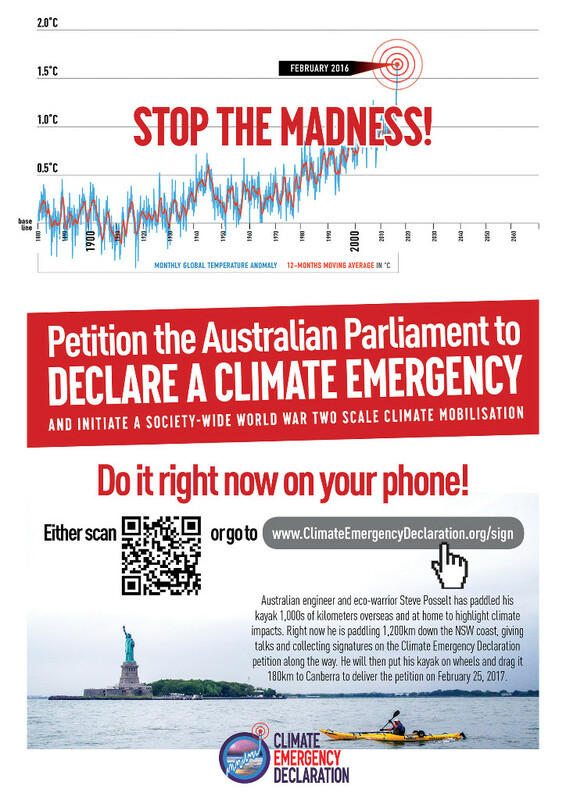 Our campaign calling on the Australian government to declare a climate emergency started in February 2016 when global temperatures spiked past 1.6 degrees of warming. Today, our campaign is supported by over 40 environmental and climate groups, and we have reached 12,000 supporters. But we are very keen to grow these numbers before our petition is delivered to parliament on 25 February. If you are in Victoria or New South Wales, there are many opportunities in coming weeks to join in events to build our campaign. If you live somewhere else, please help by sharing the online petition with your friends. 1. Come to the Victorian Climate Action Network meeting this Saturday 4 February, 1.00pm to 4.30pm, at St Vincents Hospital, corner of Victoria and Nicholson Streets, enter from Victoria Parade. Topics for discussion include updates on the emergency declaration campaign and plans for 2017. 3. The Sustainable Living Festival in Melbourne is all about the climate emergency – and if you are in Victoria, don’t miss out on this unique event. We have selected a short-list of climate emergency related events for you – see below. And we need your help to collect petition signatures at the Victorian Climate Action Network stall on the Big Weekend on 10-12 February. Please let us know if you can spend an hour or two on this important work. 4. 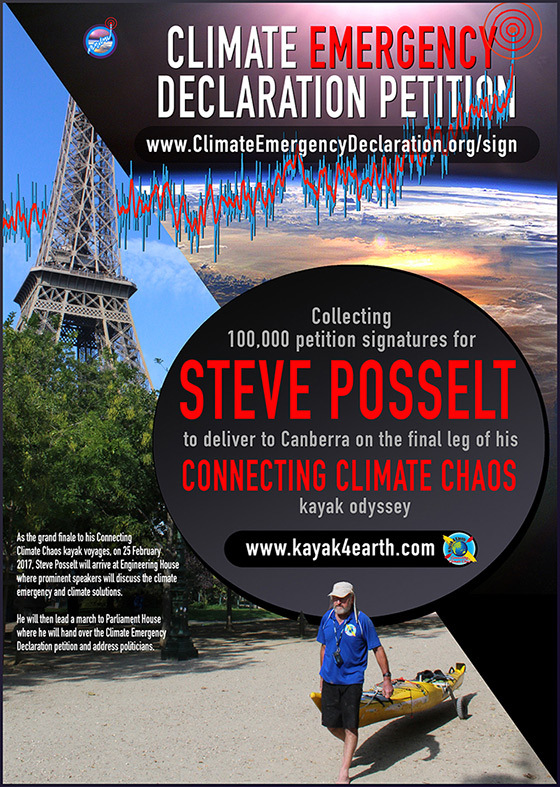 While many of us enjoyed a well-earned break, engineer and eco-warrior Steve Posselt has been busy paddling his kayak on an eight-week trek to deliver our Climate Emergency Declaration and Mobilisation petition to Canberra. He will arrive at Parliament House on Saturday 25 February. You can check out his epic journey at www.kayak4earth.com. Some highlights and coming events are below. We are delighted to report that we now have over 12,000 signatures, thanks in part to all the extra signatures from Steve’s welcome events, but also thanks to all of you. We now have exactly one month to reach our target of 100,000 signatures before Steve reaches Canberra on 25 February. Can we do it? We’re certainly giving it our best shot! With Trump slamming climate measures and emboldening climate nay-sayers here, it is extra important that we show our government the growing community support for immediate, far-ranging, and effective climate policies. We really do need to get those 100,000 signatures soon, and we think we can with your help! One supporter is planning to ask all the parents at her kids’ school to sign the petition. Another supporter, the CEO of a large company, sent a memo to all staff saying that he signed our petition and asked them to consider signing too. If you don’t have those options, perhaps you belong to a book club, a sporting club, a CWA group, or… How about printing the poster with QR code and pinning it on a workplace noticeboard or similar? All it will take is everyone who has signed so far finding 10 more people each on average. One easy way might be to simply share some of our Facebook posts or retweet some of our tweets. Okay, we do know it is not really that easy to get 10 friends to sign the petition, but if you need a bit of inspiration just take a look at Steve’s hands when he shows his blisters to the cameraman at the end of this NBN News clip! Apparently the blisters have now turned into callouses, and he is an adventurer after all and is actually having fun, but Steve is putting his life on the line every day he is paddling… all in an attempt to convince government that the community wants them to take the necessary actions to protect us all from climate impacts. Register here to be part of the Q&A audience before Monday morning. Everyone is welcome! Register for the audience or submit a video question by 9am Monday. Feelings rather than facts move us to act. What’s a rational response? ​Paul Gilding knows it’s ​​time to face the climate ​reality, and sees that​ only a WWII scale of mobilisation will lead to climate victory. Is it now or never as we near the end of the critical decade? 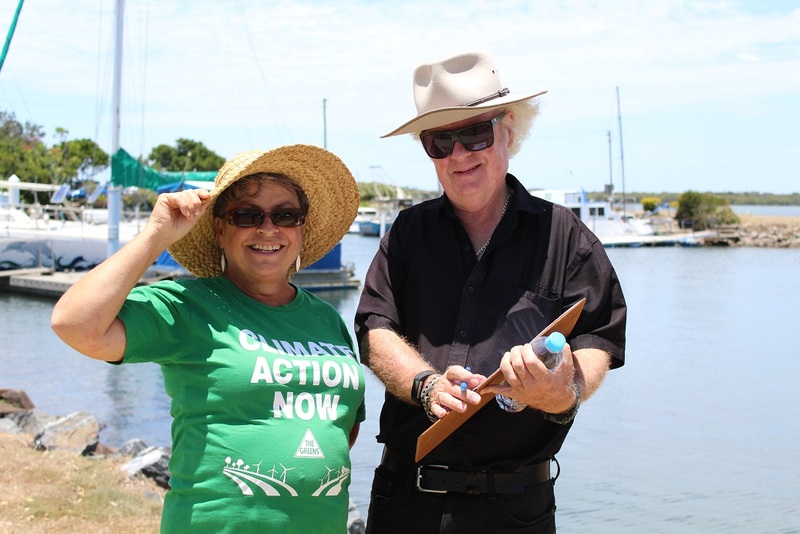 On Steve’s first four weeks he had fabulous welcomes from local supporters at Yamba, Coffs Harbour, Nambucca Heads, Port Macquarie, Newcastle, Terrigal and Sydney. 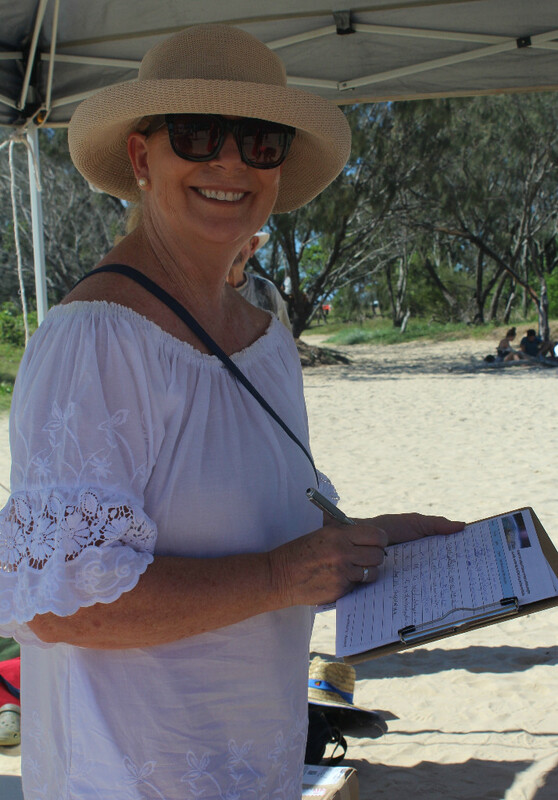 They’ve been welcoming him with flotillas or beach welcomes and collecting petition signatures, including from the Mayors of Ballina and Coffs Harbour. We’ve lost count of the number of radio interviews and articles in regional newspapers, and NBN News has broadcast news clips of three of the events – Ballina, Coffs Harbour, and Newcastle. You can view these on our website at www.climateemergencydeclaration.org/kayak, and see numerous photos in Steve’s online diary at www.kayak4earth.com/category/diary. Download this poster if you’d like to display it at a venue where you are collecting hard copy petition signatures. Download this poster and display it on a workplace noticeboard or similar so colleagues can sign the petition using their phone. Copyright © 2017 Climate Emergency Declaration campaign, All rights reserved. 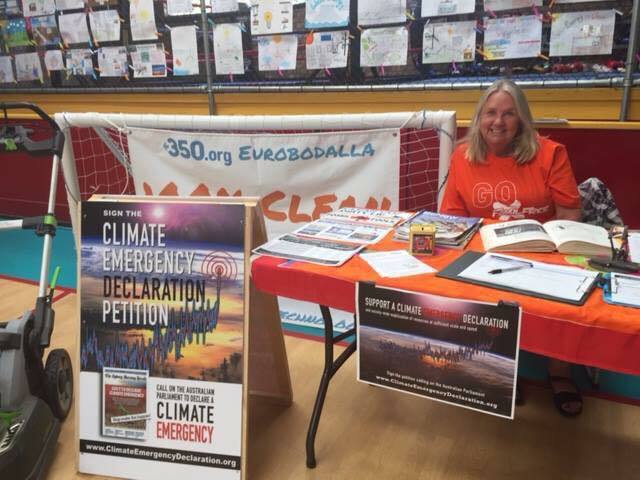 The Climate Emergency Declaration and Mobilisation petition is a tangible expression of the growing public demand for an effective response to the climate reality.